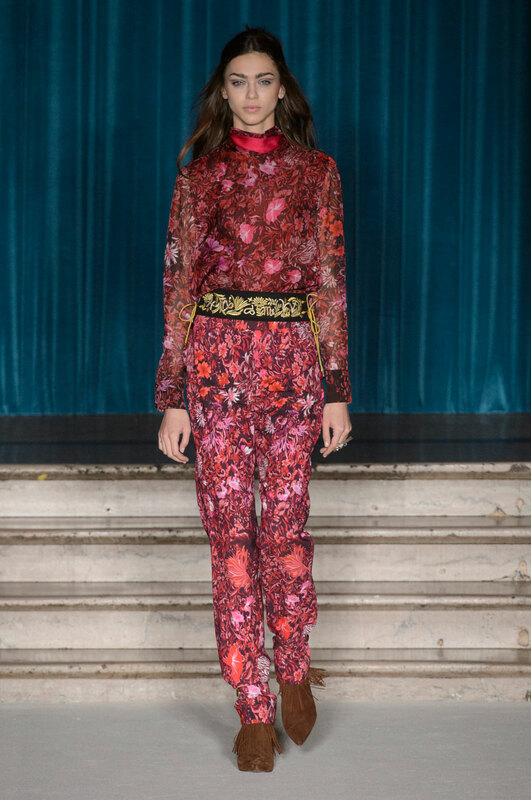 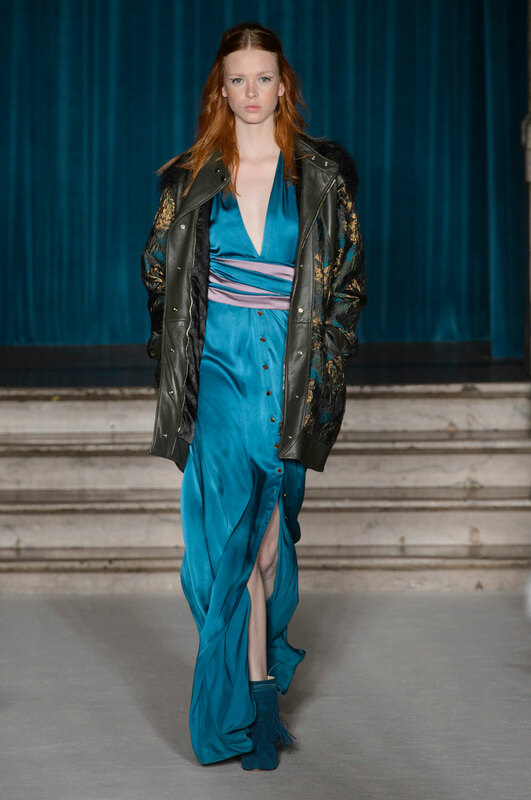 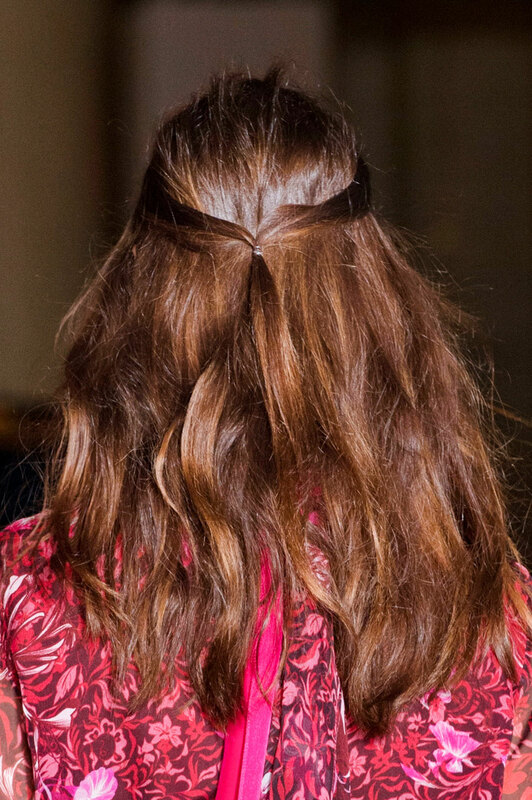 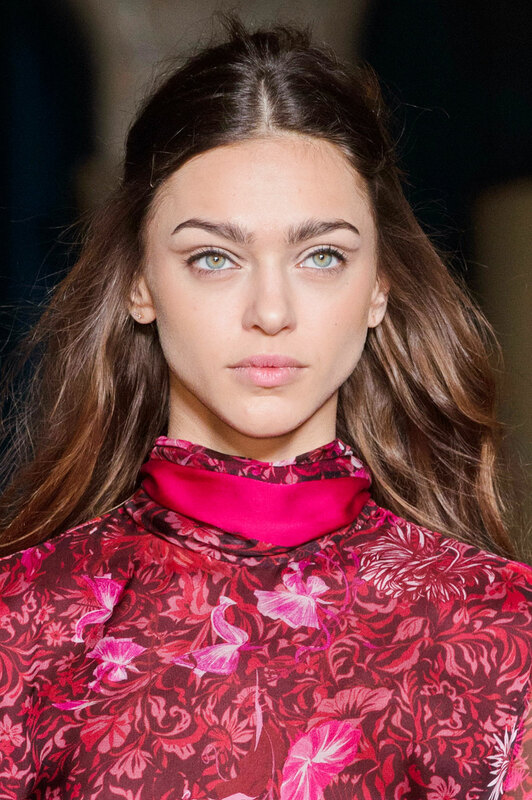 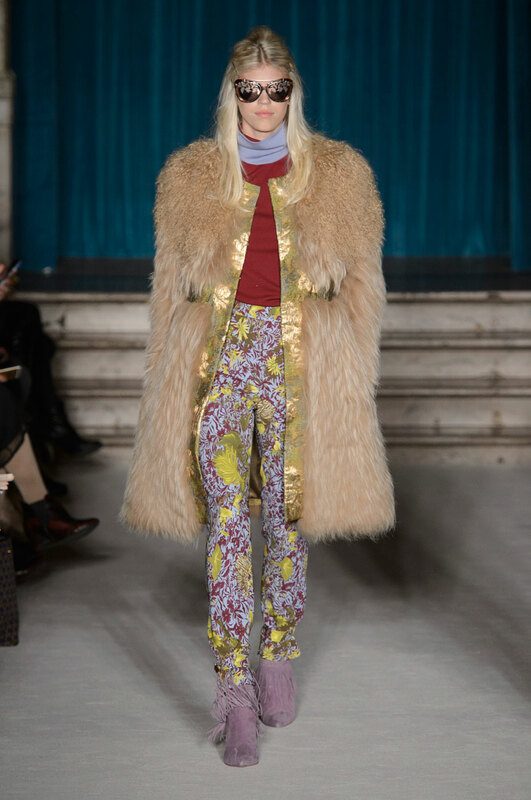 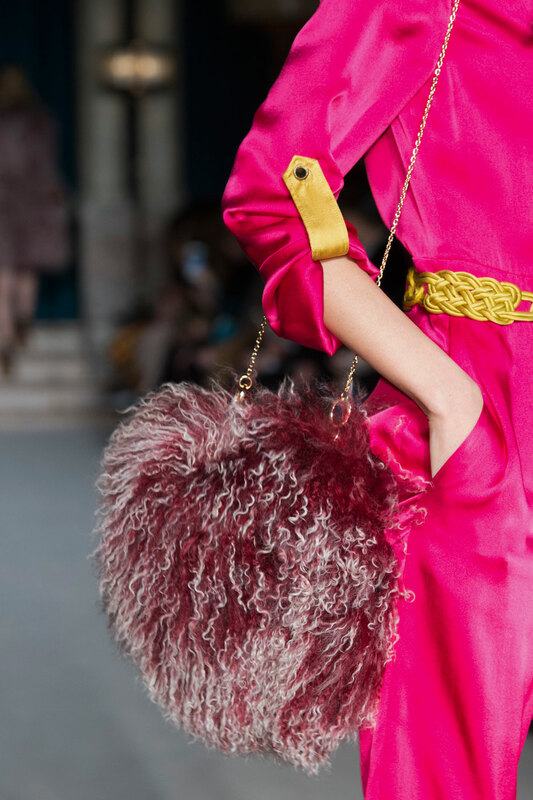 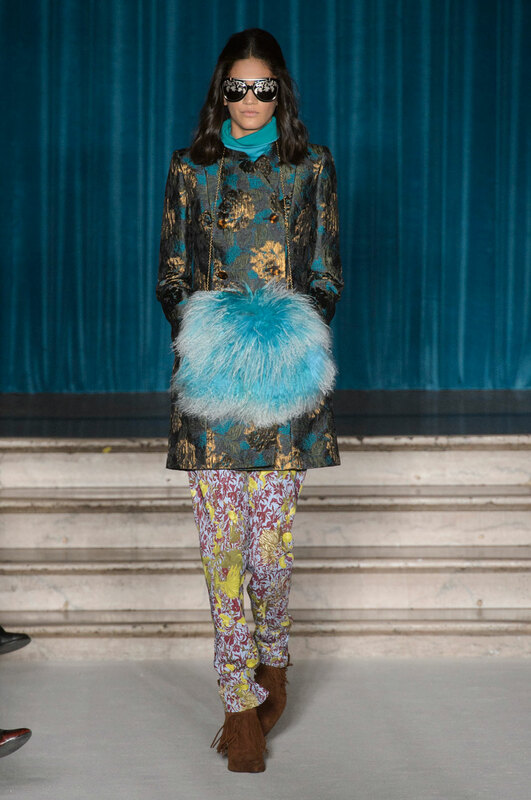 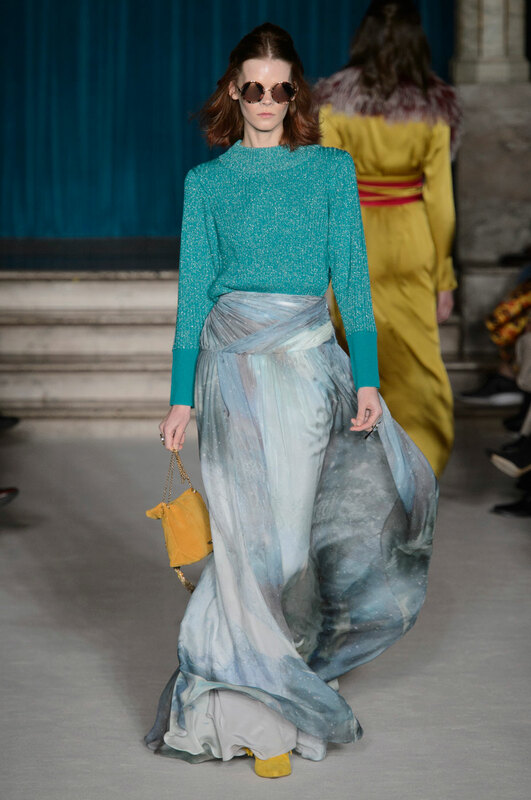 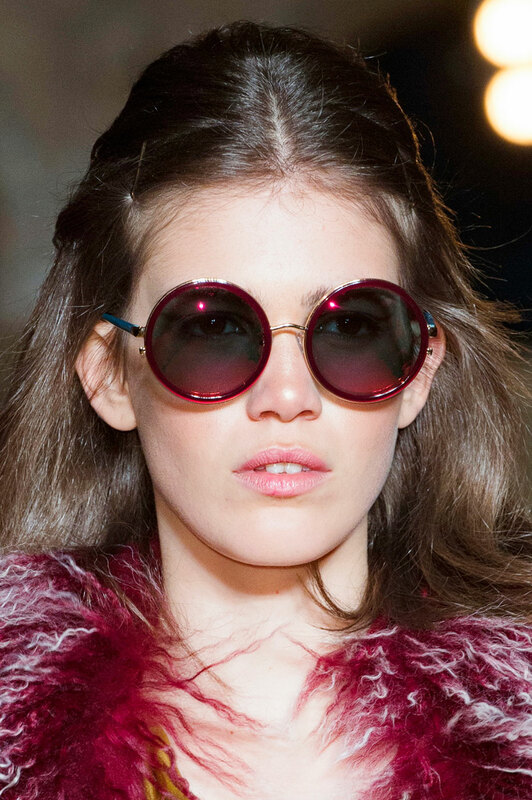 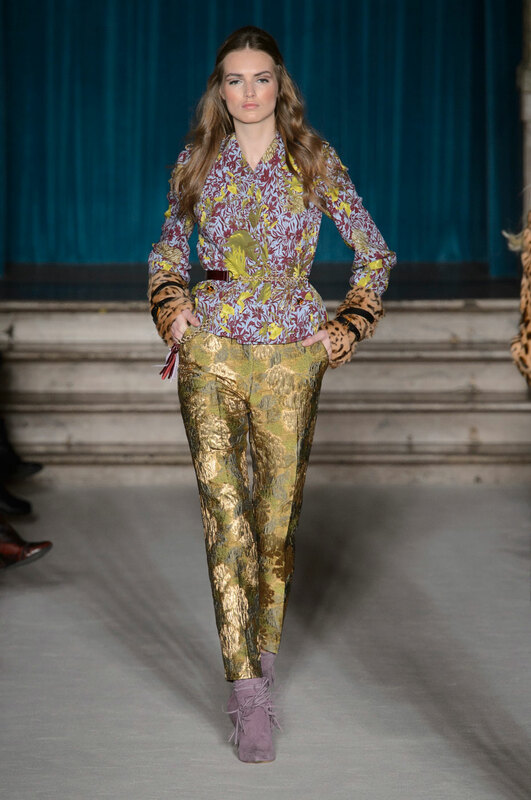 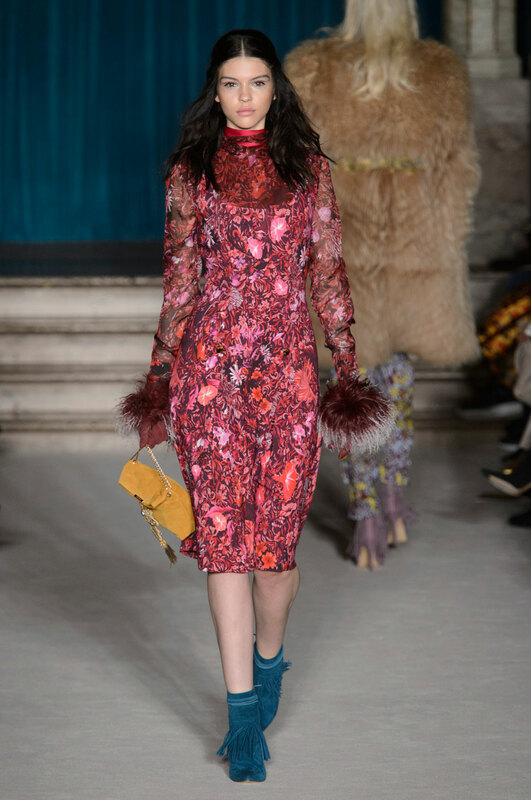 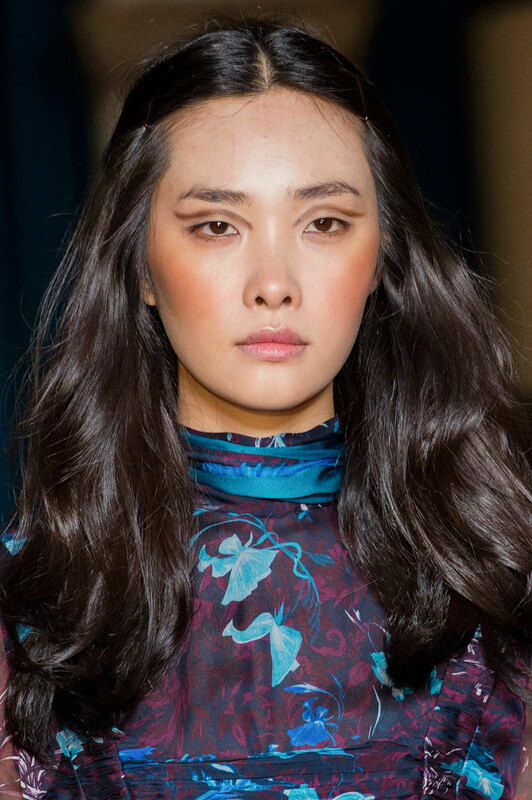 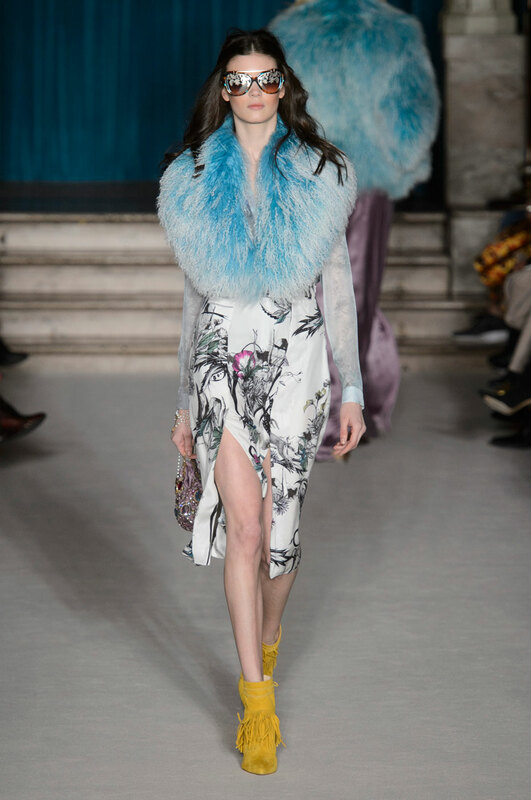 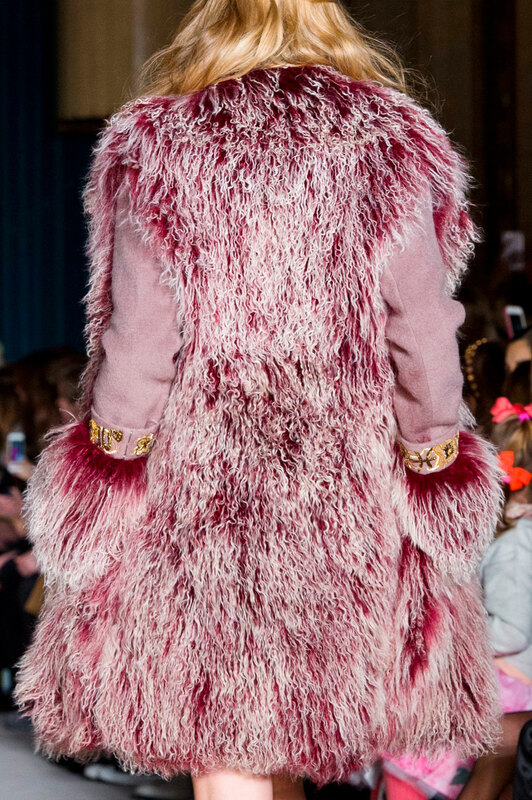 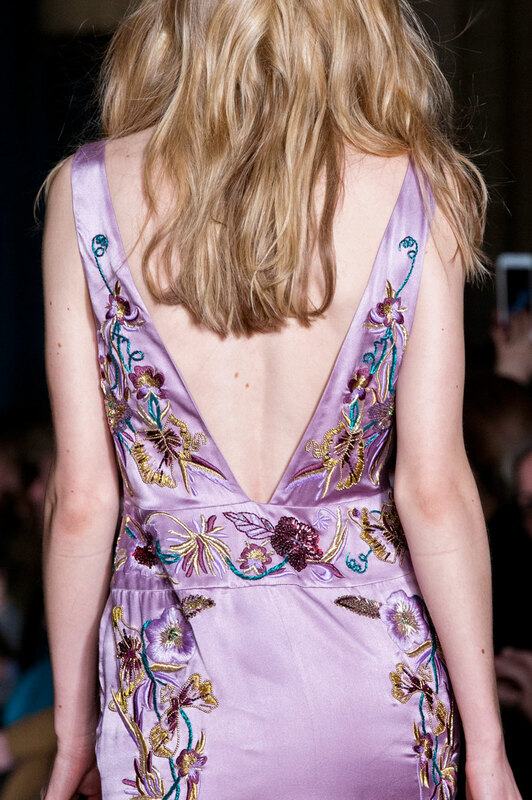 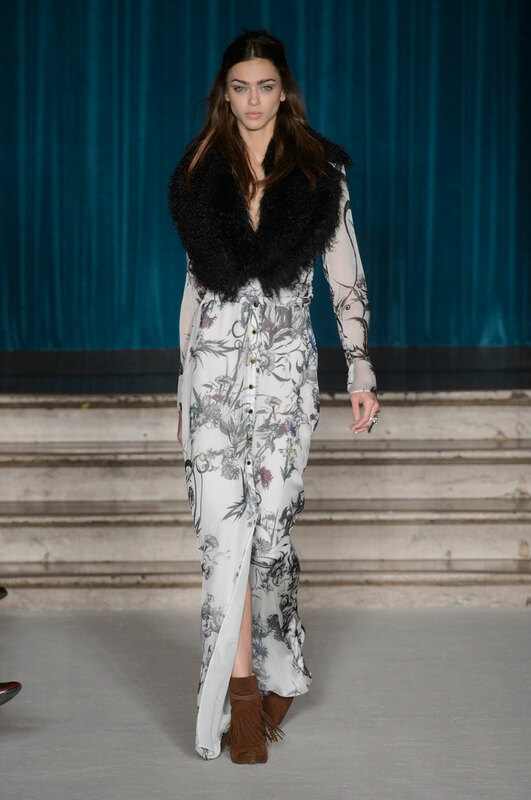 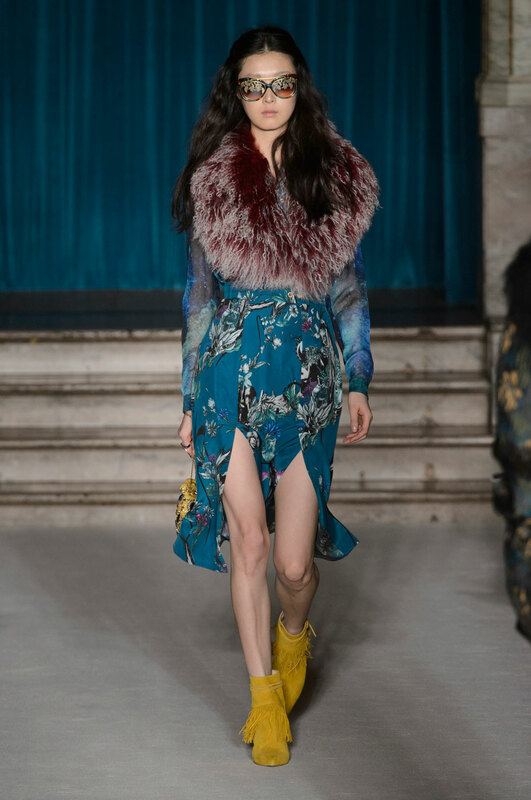 Matthew Williamson Women Autumn-Winter 2015 – Hair like Bardot with the waves of Kate Moss, Matthew Williamson’s Bohemian Brit Girl offers sheepskin, sunglasses and plenty of sass. 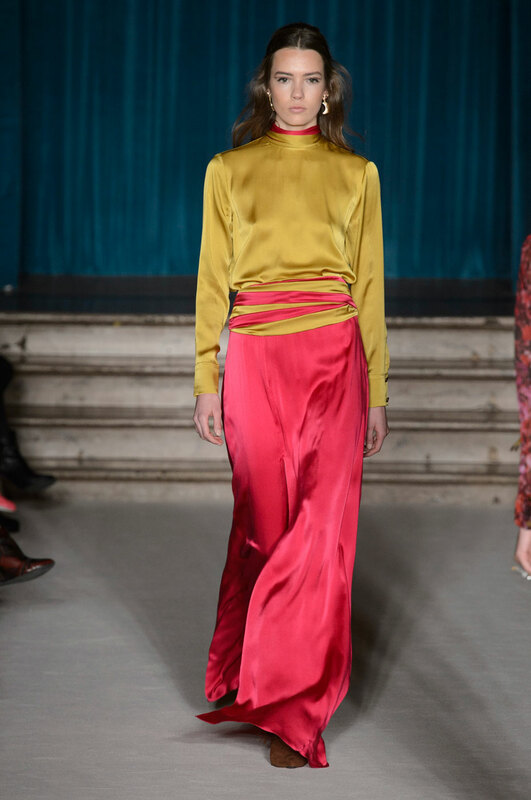 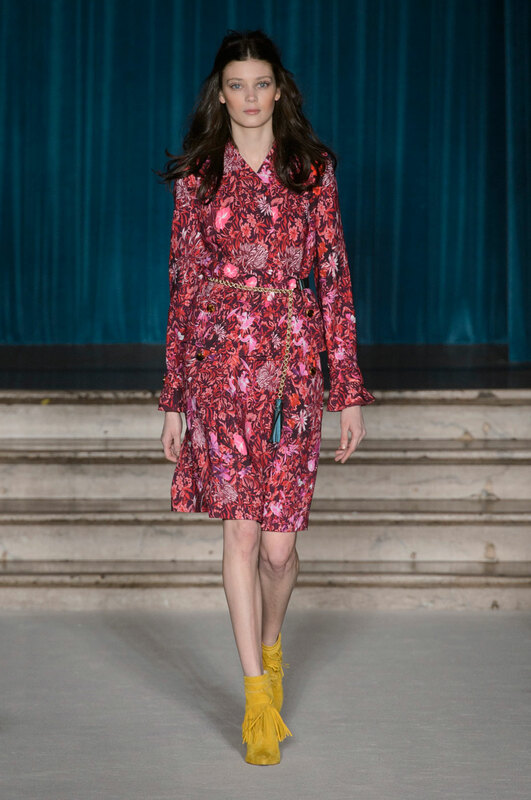 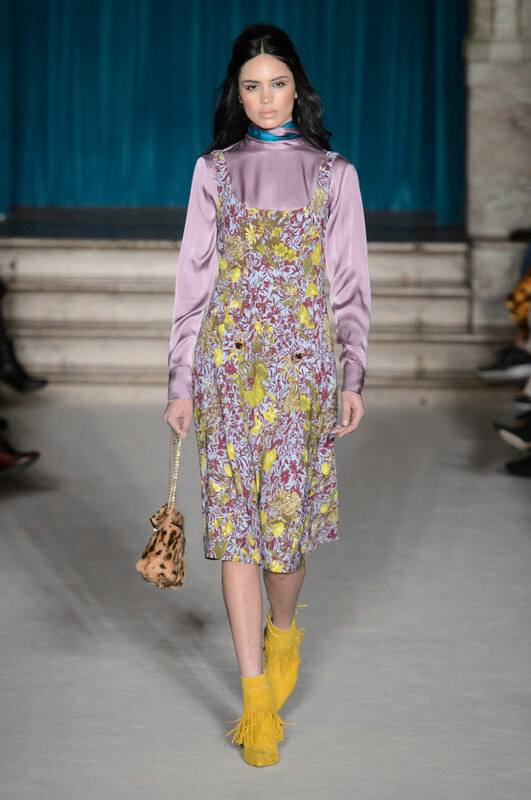 Against the golden glimmer of Picadilly’s Criterion Restaurant, Williamson transported his crowd to 1970s Woodstock with a collection comprising of colourful Bionda Castana fringed boots, vibrant floral prints and his classic Seventies silhouettes. 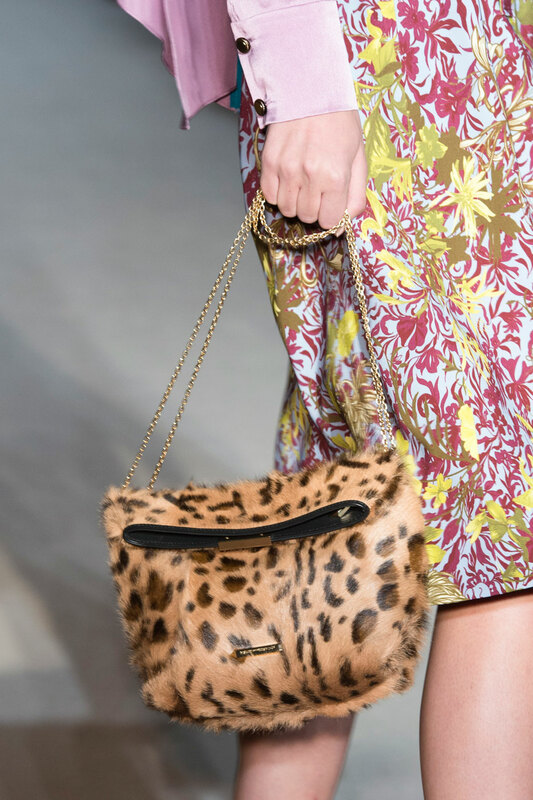 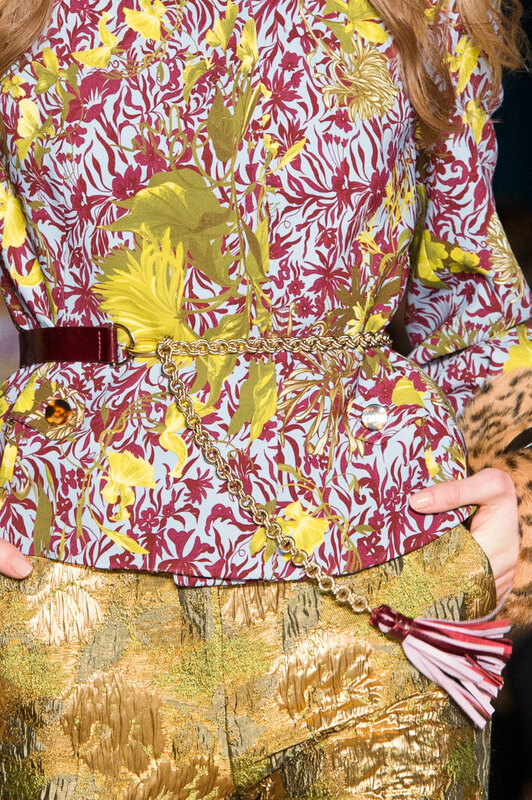 Providing a masterclass in how to both bravely and successfully clash prints, looks saw Williamson contrasting leopard print coats and bags against heavily embellished prints in a way the designer knows all too well. 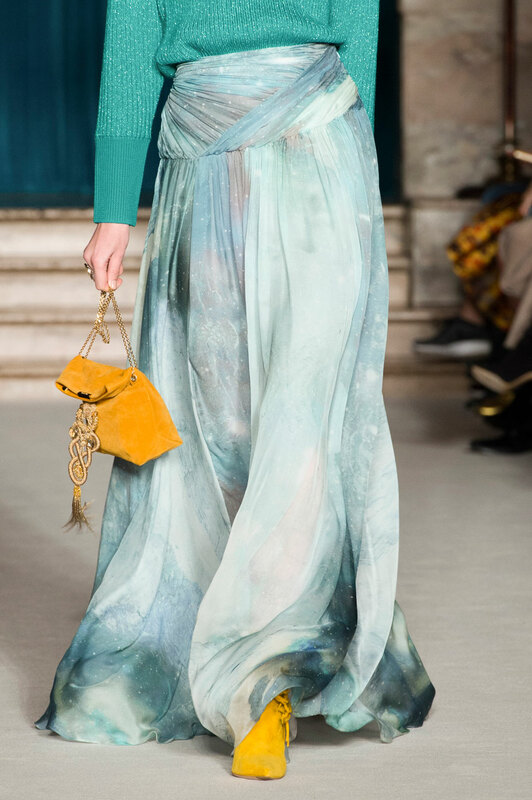 With the 12 signs of the zodiac and their individual connotations influencing the theme of the collection, designs were daring with emphasis placed on a birth-gem palette; upon which Williamson embroidered zodiac creatures and birth flowers in golden thread. 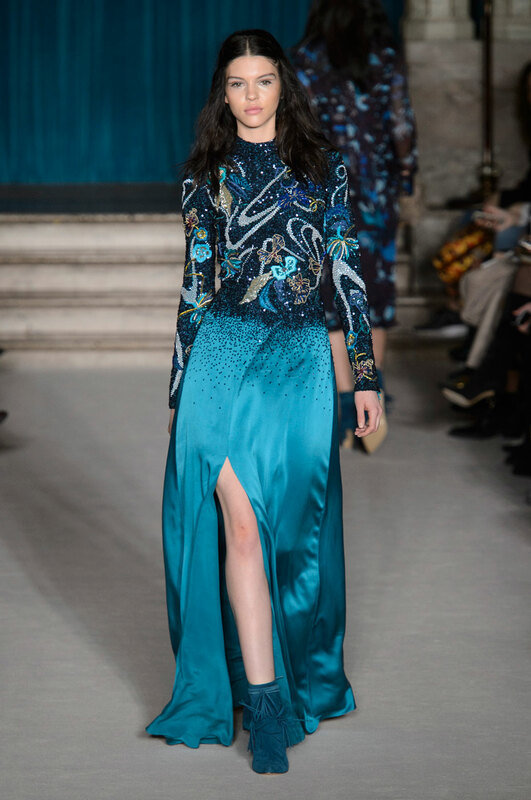 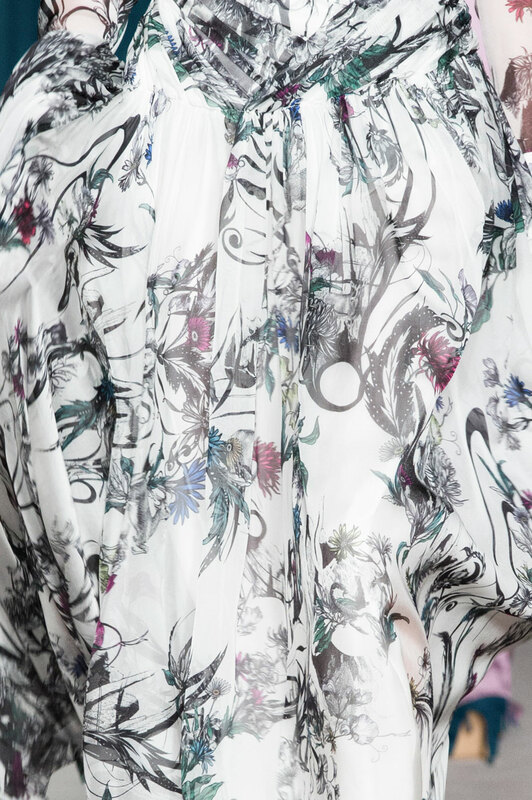 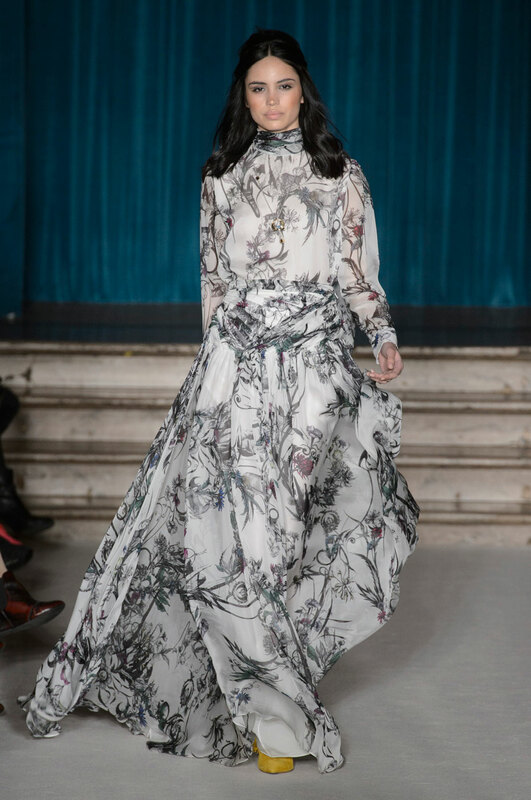 Choosing silk, chiffon and satins for texture, the collection oozes feminine elegance through the fluid flowing movement of maxi skirts and dresses, whilst the intricate designs and attention to detail given to two-pieces, coats and evening gowns inspire an overall romantic, oriental vibe.